SUZUKA – Event Suzuka 8-Hours Race this weekend ensured full participation of the iron horse jockey legend. One of them former MotoGP champion 1993 season, Kevin Schwantz, who will be riding the Suzuki GSX-R1000. Not himself, Schwantz Suzuki team participating in will also partner with Yukio Kagayama and World Superbike legend, Noriyuki “Nitro” Haga. 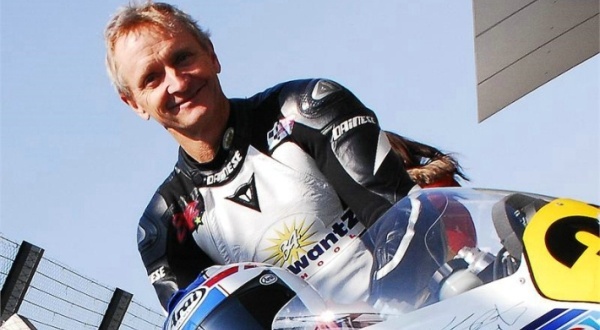 Schwantz was looking forward claiming back down in the event that there has been 11 years that followed. “I’m looking forward to race at the Suzuka 8-Hour with Yukio and on the seat Noriyuki Suzuki GSX-R1000. Suzuka has a special place in my heart because I won my first 500cc Grand Prix here, “said Schwantz. “The last time I took an eight-hour event was in 1992 with Doug Chandler and we could not finish the race due to mechanical problems. With only two riders, it will be difficult physically. Now with three riders and still be heavy for me though not as before, “he added. “I myself have never won at this event and now with my colleagues tough as Yukio and Nori, I think we have a chance to win it,” Schwantz closed, as quoted by Crash, Thursday (25/07/2013). Suzuka 8-Hours Event Race time will be followed by 63 riders and expected, Suzuka will be met 80 thousand fans at the final session, Saturday (07/27/2013) future. Last year, the event was won by a trio of Jonathan Rea, Kosuke Akiyoshi and Tadayuki Okada that carries the FCC TSR Honda team.